Please note, the gym will be closed from Friday 14th to Monday 17th April. Classes resume on Tuesday 18th at the normal times. Happy Easter! http://www.strongerfitnessandmartialarts.co.uk/wp-content/uploads/2016/07/WhiteLogo.png 0 0 Rico Romero http://www.strongerfitnessandmartialarts.co.uk/wp-content/uploads/2016/07/WhiteLogo.png Rico Romero2017-04-11 11:17:542017-04-11 11:19:09EASTER WEEKEND! The last Kids Jiu Jitsu Class of the Easter Break is on Wednesday 12th April at 10.30 until 11.30am. The gym is closed on Friday 14th through to Monday 17th. The gym re-opens for Kids BJJ on Wednesday 19th April at the usual time of 4.30pm. Be part of something special at Stronger Fitness and Martial Arts. 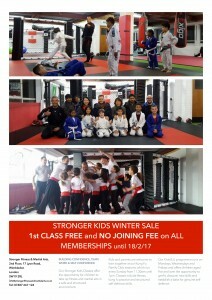 For a limited time only we have a special offer for Adult and Kids classes where you try before you buy. And wait..when you buy you pay NO JOINING FEE! Not only this, have you ever wanted the joy of training in the same class as your kids, well now you can in our special Family Kung Fu Classes on Sunday! 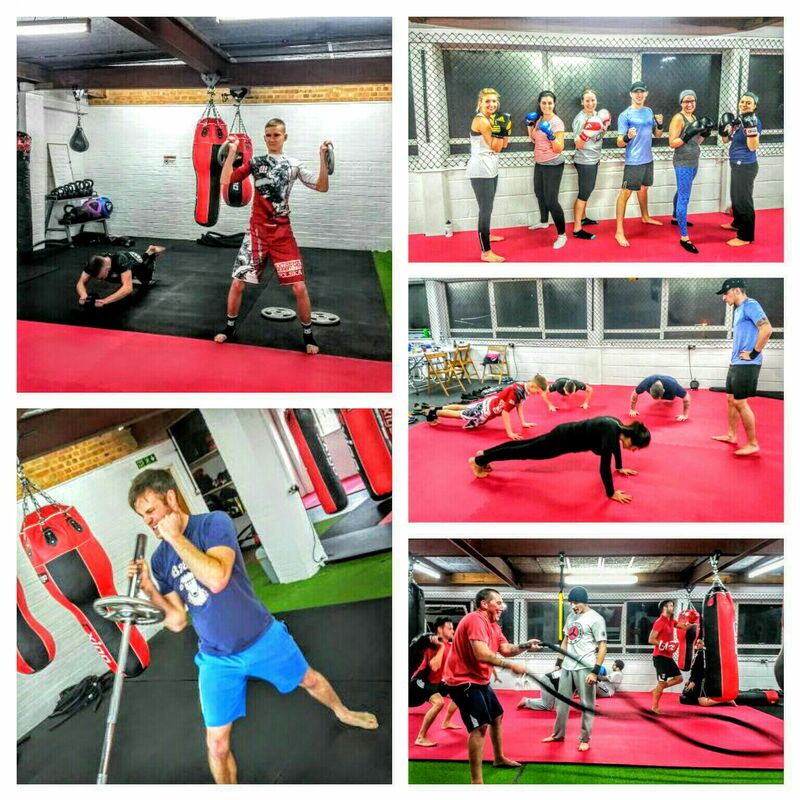 Are you ready for another round of challenging exercises that will test your fitness levels no matter your ability! Again we will be holding another 2 hour epic fitness class in Wimbledon combining various high intensity (HIIT) body workouts, an outdoor 5k run finished off with the ever popular ‘Refuse 2 Lose’ circuit on Sat 22nd Oct @ 10am! £10 for members and non members. Get booking! Stronger Wimbledon Challenge – Find out more here! This is a reminder that there is no training this bank holiday Monday. We wish everyone a glorious weekend and see you on Tuesday! Please be advised that there will be NO Kung Fu on Sunday 7th August, 2016. 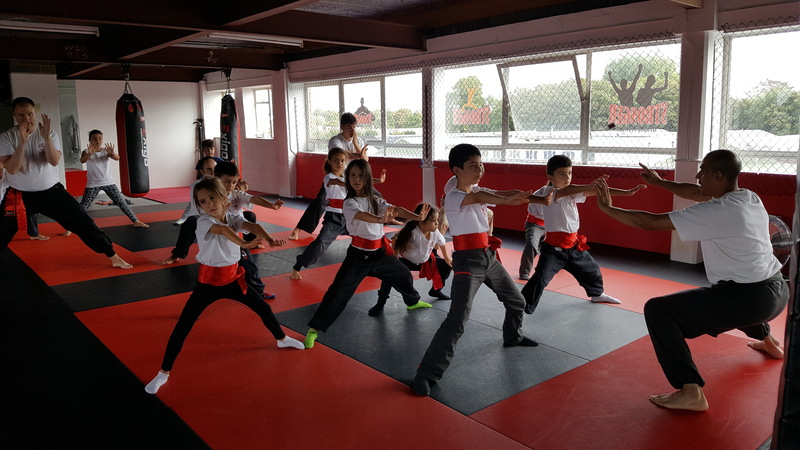 Adult classes will continue as normal on Tuesday and the next Family Club Kung Fu session will be on Sunday 14th August! Please remember to put the 3rd of September 2016 in your diaries as the date for our next Stronger Challenge! The purpose of this event is for members, who may not necessarily get a chance to get to know one other, to spend time training together and having a laugh socially while pushing yourselves to the limit. It is also an opportunity for newcomers to get to see us, meet us and ask different questions about the gym. So, see you all on the day and enjoy your summer! http://www.strongerfitnessandmartialarts.co.uk/wp-content/uploads/2016/07/WhiteLogo.png 0 0 Rico Romero http://www.strongerfitnessandmartialarts.co.uk/wp-content/uploads/2016/07/WhiteLogo.png Rico Romero2016-07-28 21:21:182016-07-28 21:21:18Stronger Challenge Reminder! Please remember that during the summer break, all Kids BJJ classes will be between 10am and 11am on Mondays, Wednesdays and Fridays. The afternoon timetable will resume in September.